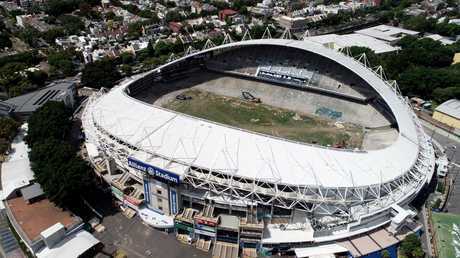 SYDNEY'S Allianz Stadium could be demolished within days after an appeal to stop the $730 million rebuild failed. There are calls for the NSW government to hold off on major wrecking works with just two weeks left until the state election. 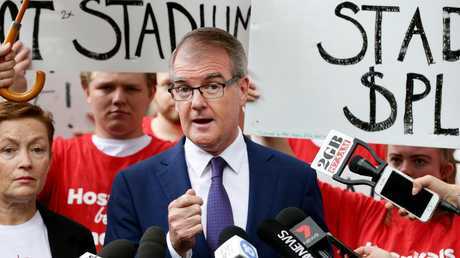 Labor leader Michael Daley has previously said if his party wins the election it will not rebuild the stadium. "And so I say to the people of NSW today your vote is now worth $2.2 billion," Mr Daley said. "Only a government that is dripping with arrogance would send the wrecking balls in with 18 days to go to the election … it would be completely without morals for the Premier to move in and knock that thing down with 18 days to go before the election." However, The Australian has reported NSW Premier Gladys Berejiklian is determined to move forward with the $730 million project, which is part of a wider $2.2 billion stadium program. Major works are expected to begin before election day on March 23 with preparatory work likely to start this week. Thousands of seats have already been removed from the stadium ahead of demolition works. The barrister for Infrastructure NSW, Sandra Duggan SC reportedly told the Land and Environment Court that her client was losing $46,000 every day that hard demolition was delayed. Even a delay of just a week or two could mean the project won't be completed by June 30, 2020. A bid to stop the demolition failed in the Land and Environment Court on Wednesday but parties have until 2pm on Thursday to announce whether they'll appeal to the Supreme Court. If they don't, a temporary injunction preventing major wrecking works during the case may be lifted. On Wednesday, Justice Nicola Pain dismissed a challenge from community group Local Democracy Matters and Waverley Council that claimed Planning Minister Anthony Roberts had failed to consider "design excellence" before approving the project. She also threw out LDM claims that the demolition proposal wasn't publicly exhibited for the required period of time and that Mr Roberts didn't consider whether the land in Moore Park was contaminated. 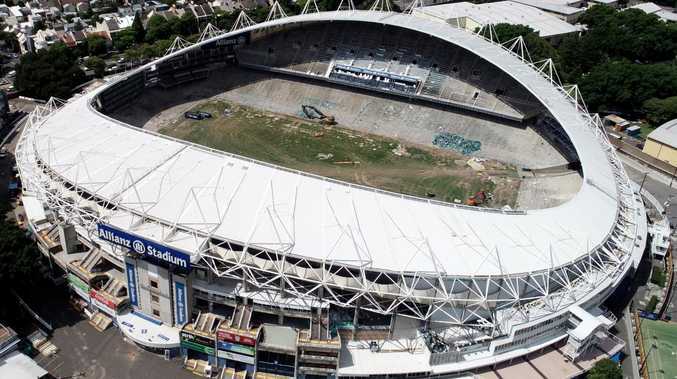 NSW Treasurer Dominic Perrottet welcomed the decision and said the Berejiklian government "will now focus on getting on with the job of delivering a world-class stadium for the people of NSW". Opposition leader Michael Daley said he respected the decision but wanted demolition works held off until the state election. If the wrecking balls move in, Greens MP David Shoebridge said he would be there standing in the way. "Many members of the community (will be) putting themselves between an arrogant Premier and a billion dollars wasted of public money," he told reporters outside court on Wednesday. Plans for the stadium in Sydney's Moore Park to be knocked down and rebuilt have been controversial since they were announced in November 2017. The $730 million rebuild will see a rectangular stadium constructed with improved sightlines and a roof that covers all patrons, as well as improved amenities, food and beverage options and accessibility. The capacity will remain the same, with the new stadium accommodating 40,000 to 45,000 people. Sydney Cricket Ground Trust chairman Tony Shepherd has said the stadium, which opened in 1988, had fundamental design issues that made it unsafe. "In an emergency, patrons face the very real prospect of serious injury or worse in the rush for the exits," he said. But Mr Daley has said the SCG Trust, which operates the stadium, has inflated the fire and safety risks. This week he said he would sack the board, which includes broadcaster Alan Jones, if Labor won government. 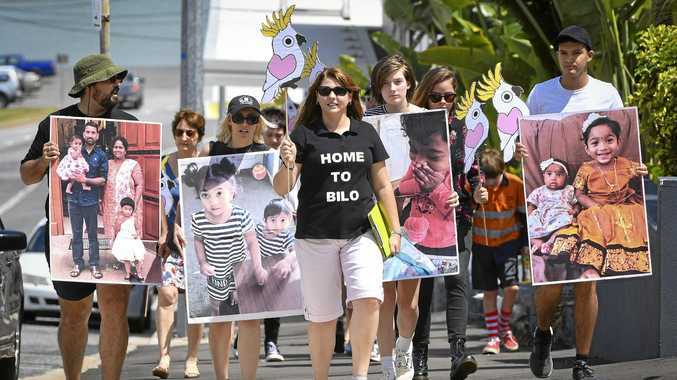 News SUPPORTERS of a detained Biloela family say they are increasing political pressure for their release ahead of the federal election.